Follow-up to July 8, 2017 club meeting on photographing the eclipse. 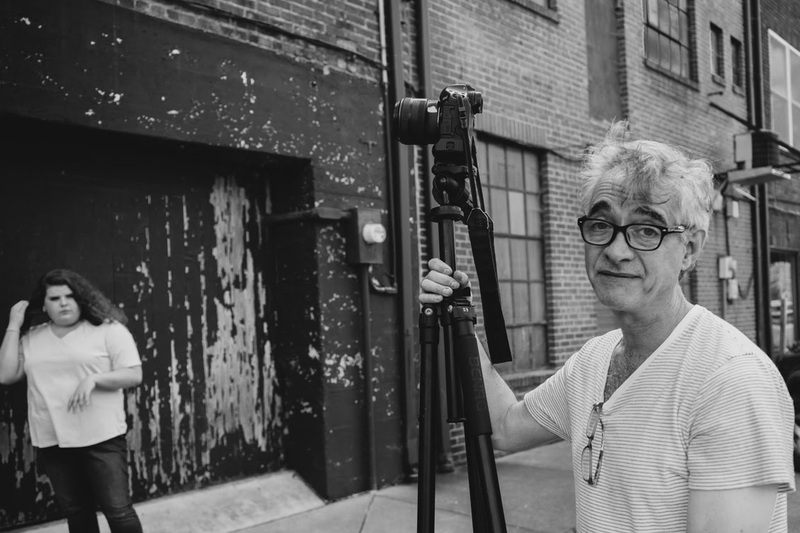 Longtime journalist and photographer Quintin Ellison will speak to the Sylva Photo Club at 2 p.m. Saturday, May 11, about street photography – capturing life, culture and humanity in a candid, unplanned manner. Her program will include the choice between shooting black and white or color; lens selection; camera settings; the photographer’s legal rights and her experience shooting reportage and street in our small mountain towns. Ellison began her writing/editing and photojournalism career in 1992, shooting everything from mug shots to fender-benders. As the years passed, photography turned into a passion, and she expanded her repertoire to include, in addition to reportage and street, nature/wildlife, macro and portraiture. She grew up in Bryson City and lives in Sylva, serving as general manager of The Sylva Herald. Ellison has spent her three-decade journalism career in WNC, working at three newspapers in addition to The Sylva Herald: The Franklin Press, Asheville Citizen-Times and Smoky Mountain News. Elizabeth Ellison, her mother, is a watercolor and oil artist and her father, George Ellison, is a well-known naturalist and writer. Quintin Ellison’s prints are on display at her mother’s studio, Elizabeth Ellison Gallery, at 155 Main Street in Bryson City and at 1101 Main Steakhouse, also in Bryson City. We’ll have our door prize drawing for a Sandisk Extreme 16 GB SD card, and one of my side businesses, John MacLean Photography – Photo Printing Services, will be raffling a 12×18″ print, custom printed from your file ($21.60 value), so be sure to be there! The suggested donation for visitors is $5. This amount is applied to the $20 yearly membership, which becomes active from the date paid in full. So please join us on Saturday, May 11 from 2 PM – 4 PM at the Cullowhee United Methodist Church. Hope to see you there. This is an all-ages event open to the general public, not just photographers. 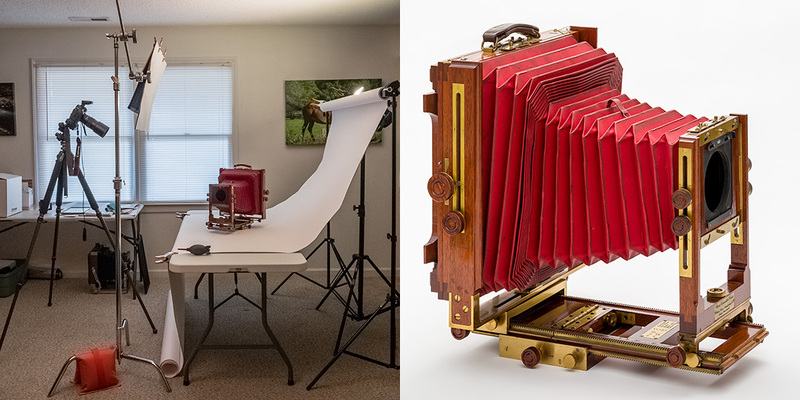 This month I’m going to demonstrate an easy and very effective way to photograph smaller scale items that you want to sell on eBay or other online venues. I’ll be using a practical and inexpensive one-light setup that I purchased at a hardware store, along with a roll of white seamless paper, that yields bright, clean, uncluttered and attention-getting results. We’ll be tethered into Lightroom so you can see the process in real-time. And for the sake of comparison, I’ll also use a studio flash alongside this to point out the similarities and differences. Bring in one item smaller than a breadbox and I’ll shoot it for you! We’ll do Show and Tell after the demo. The theme is Spring. Please bring up to 5 images. The suggested donation for visitors is $5. This amount is applied to the $20 yearly membership, which becomes active from the date paid in full. So please join us on Saturday, April 13 from 2 PM – 4 PM at the Cullowhee United Methodist Church. Hope to see you there. This is an all-ages event open to the general public, not just photographers. Thanks to Michael Miller A.K.A. MikeTheMath for his great imagery and presentation at the last meeting. This month we have another long distance presenter Michael Miller, coming all the way from Atlanta, that just happens to also be friends with Tommy Meyer who presented in February 2018. Although Mike has only been doing photography a little over 2 years and being a semi-professional shooter for about a half of a year, he’s amassed a sizable following on his Instagram pageand rightfully so. As a matter of fact, that’s exactly how I made contact with him, after repeatedly seeing his gorgeous imagery in my feed. At 34 years old he’s got a goal of taking this profession full time by the year’s end. 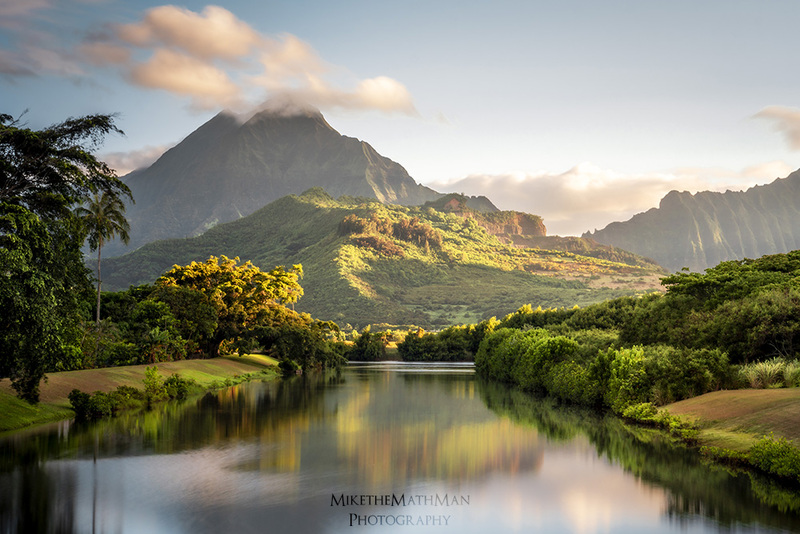 Please join us for a presentation of epic landscape images. The suggested donation for visitors is $5. This amount is applied to the $20 yearly membership, which becomes active from the date paid in full. So please join us on Saturday, March 9 from 2 PM – 4 PM at the Cullowhee United Methodist Church. Hope to see you there. This is an all-ages event open to the general public, not just photographers. Thank you for coming out to the last meeting where I spoke about pixels, image sizing and more. I mentioned an idea of teaching a one-day Lightroom workshop, which got a very positive response. I’d like to open a discussion after Mike’s presentation. 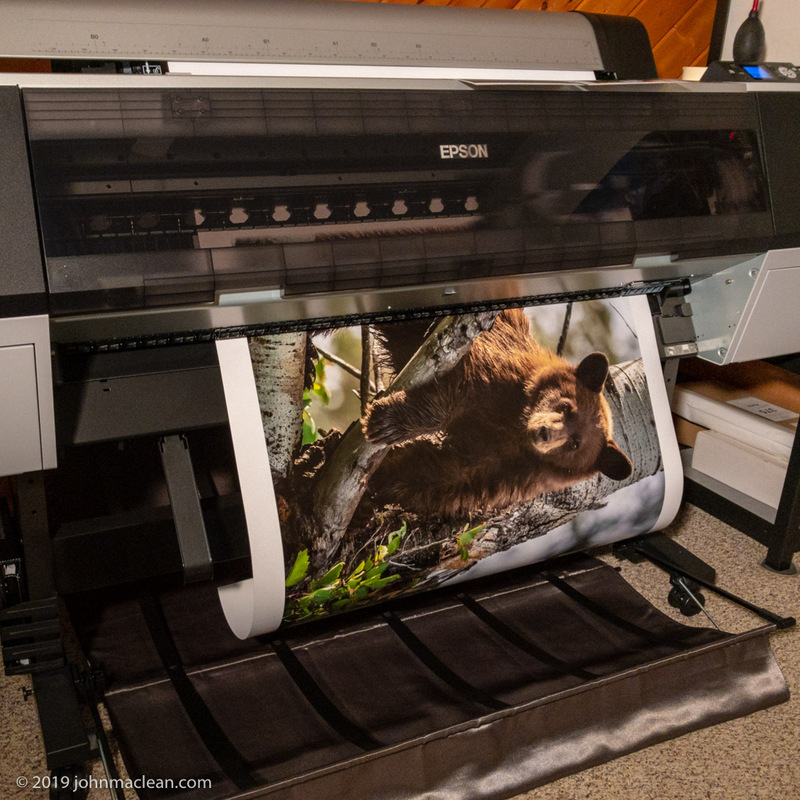 A sharp 30×45″ fine-art paper print of a fuzzy subject for Dr. Bruce Elliston coming out of the Epson 9900 printer. This month we’re going to cover some of the basics of capture, display and printing resolutions, image size, and preparing for export/output to use online, or sending off to your favorite printer. I’ll try to keep it as simple and understandable as possible, and there will be a Q&A afterward. Thanks to Tim Lewis for the suggestions. The Show and Tell theme is open, so anything goes. Bring up to 10 images. The suggested donation for visitors is $5. This amount is applied to the $20 yearly membership, which becomes active from the date paid in full. So please join us on Saturday, February 9 from 2 PM – 4 PM at the Cullowhee United Methodist Church. Hope to see you there. This is an all-ages event open to the general public, not just photographers. Thanks to the people who braved the non-weather event and attended the Pizza Party last month at the Mad Batter. We had a great turnout and after we enjoyed some delicious eats, we briefly discussed some ideas for the club’s future. We’ll continue this discussion in this year’s meetings.